6 November 2013 — When we finally shipped Helix RADE 6.2 on June 10th, we knew that the great exhale, the big sigh of relief at reaching this almost mythical milestone would be short lived. After playing Cinderella for several years, Helix RADE was, at long last, going to the ball. But if the evening should end without a companion Client/Server toolkit ready to go, glass slipper in hand, the coach would slowly but surely turn back into a pumpkin. And if that were not enough, RADE’s fairy godmother was planning to shake everything up again, as she does every so often, handing us yet another setback. So yes, ‘oh, woe is we’ once more! Once more forces beyond our control seemed to be threatening to brush us away into the dustbin of digital history. Was Helix simply destined to try to outrun that brush year in and year out? What perils lie ahead? How would Helix survive? What should we do?!? Right after that ‘big sigh of relief’ in June, we shifted our focus to bringing Helix Client/Server 6.2 to life. We started by drawing up a list of things we’d like to add, and then we drew the line at a place where we felt we could provide some compelling reasons for you to upgrade, while not delaying the release by too much, and we went to work. While working on Client/Server, we also spent time addressing more Helix RADE 6.2 bug reports, in addition to polishing some rough edges and restoring some minor conveniences that had been lost, or simply misplaced. Factoring in the customary ‘bumps in the road,’ we missed our hoped-for shipping date by a couple of months, just long enough for Apple to give our plans the aforementioned shake up. That shake up was, of course, the October 22nd release of macOS 10.9, which we will simply refer to as ‘Mavericks’ from now on. As Helix 6.2.1 was approaching ‘shipability,’ Apple started sending ‘final candidate’ releases of Mavericks out to the developers. Our testing showed that Helix RADE and Engine would run fine in Mavericks. Unfortunately, Helix Client and Helix Server did not fare as well. Even before QSA became an entity, this group, the so-called “Helix Recovery Team,” had gone to great lengths to plot the future course of Helix. If our dealings with Apple had taught us anything it was that we had to be prepared for cataclysmic changes in the foundation of the operating system. We have known for a while that Apple was not putting any resources into improving Open Transport, which is the programmer’s interface (API) for the code that underpins Helix’s networking. Open Transport is what allows a Helix Client to ‘talk to’ a Helix Server. But Mavericks is out and Open Transport has been removed from the operating system. It simply isn’t there anymore. This renders Helix — and a few other network-based applications — unable to establish a network connection at all, leaving us unable to communicate. Our solution is to slide the switch to Sockets forward, making it part of Helix 6.2. In fact, we have already started that work, and if the plan continues to unfold as expected, we’ll have Helix Client working with Mavericks in a matter of weeks, with Helix Server taking a bit longer. So, with the foregoing in mind, and in keeping with another of our key principles, that of making technology available when it is ready, and knowing that most business users know not to upgrade to a new Apple operating system until all their other software vendors have declared their products compatible, we decided to hold our family reunion today. The entire Helix family is now back together, as Helix 6.2.1. So where we are today? Today we announce the release, pricing and immediate availability of the latest version of Helix: 6.2.1. While this release is officially numbered as 6.2.1 (because it coincides with a maintenance update for RADE), it is the reboot of version 6.2, the family reunion, if you will, of the Helix product family. The RADE maintenance update is free to any Europa Pioneer in good standing as well as to anyone who purchased RADE 6.2 since the end of the Europa program. This maintenance upgrade and the companion upgrade to Helix Engine both run in macOS versions 10.5–10.9. Again: Mavericks is compatible with Helix RADE and Helix Engine. 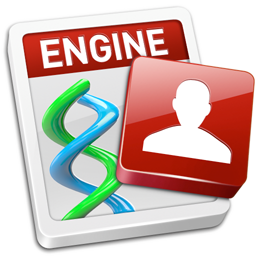 Europa Pioneers: be sure to log into our web store and check your ‘Current Licenses’ page: your permanent Helix RADE 6.2 key is now available. Use that to enable Helix RADE 6.2.1 and you’ll see how much we’ve improved the process. Customers who use Helix Client/Server now have a growth path from where they are to where they will inevitably be: those who have switched over to Intel Macs should upgrade to version 6.2.1 and take advantage of all the great new features, which you can read about below. For workgroups that still have a few old PowerPC Macs around, Helix 6.1.11 remains available for them, and we will continue to support it for the time being. And while we can’t yet put a release date on it, this release will be followed shortly by another free maintenance release — version 6.2.2 — which will bring Mavericks compatibility to Helix Client. We fully expect to have 6.2.2 in your hands by year end, but being that it’s already November, that’s little more than a pre-holiday season wish right now. When asking your users to reach into their pockets and upgrade to a new version, there had better be good value waiting for them. Many users of RADE 6.2 had cited such a fondness for one particular printing improvement that they said would be worth the price of the upgrade just for that: the return of “the remembrance of things past,” in particular the orientation of a page when you print one. The absence of that capability was lamented time and again by Helix 6 users as one of the pains they had to endure to run in macOS. With today’s release, Helix Client (and Helix Engine) now fully support the macOS printing options that Helix RADE 6.2 does. Want to print a form in landscape? Set it once and forget it. But surely there is more, isn’t there? Of course there is! In the new Client/Server alone, there are more than thirty new and improved features. Among these, far and away the most significant is its performance. 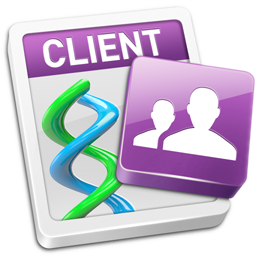 If you have tried running Helix Client 6.1.x and were dissatisfied with the performance, especially over a wide-area network, you should be quite pleased with today’s release. And if you are suffering from more than the occasional crash in Client/Server 6.1.x or RADE 6.2, we expect you will find Helix 6.2.1 to be much more stable. More sophisticated activity tracking: Helix Server has always tracked which users have logged into or out of the database during a session, but that information was lost when the Server quit (or crashed) unless you opened the “Client Information” window and exported the data. 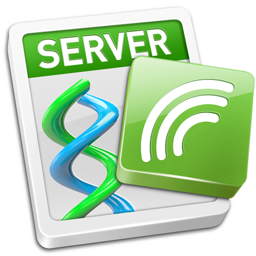 Helix Server 6.2 adds persistent logging of user access, something many of our users, especially in the health care segment, have requested. And in addition to the traditional Client access logging, it now also logs failed connection attempts, Apple event accesses (for both data and structure access), and it notes when the collection was opened and closed. You now have a permanent record of who accessed your collection and when. 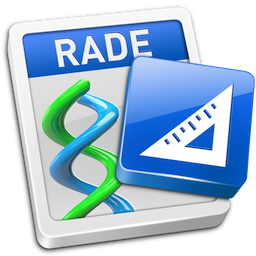 Integrated structure check: As with RADE, the vastly improved structure check function has been integrated into Helix Server. It runs when the collection is opened, or closed, and during any save that happens when there are no Clients connected. If there’s a problem with the collection, you’ll know now, not a week later when you stop to make backups and perform maintenance. Dock Badge: The Helix Server icon now sports a dock badge that indicates the number of users currently logged in. It’s a simple thing, but it’s quite endearing. Expanded Helix Connection Services: The management and maintenance of Helix Connection files is now off the user’s plate. The issue of whether or not to use a saved structure is now a moot point. When you open a Helix collection with Helix Server and visit it with a Helix Client, you are always using a saved structure, but from now on, you don’t have to interact with its function in any way. Helix creates it, saves it, stores it in a logical location and updates it when necessary. AppleScript structure updates: Helix now allows you to modify the structure of a Helix collection via AppleScript (or Apple events) without having to quit Helix Server and reopen the collection in RADE. This enables a busy Helix shop to make developmental adjustments and enhancements in parallel and then implement them rapidly with minimal workflow disruption. Access Controls: A new command on the Server will allow an administrator to temporarily limit Client connections to accommodate these structure updates or while ‘processor-intensive’ processes are run, or maintenance is performed. Self-calibrating buffers: In 6.2.x, a Helix network administrator no longer need be concerned with setting — and periodically adjusting — collection buffers to maximize performance. This is now managed automatically by Helix. Those of you who have been using Helix RADE 6.2 have already seen this capability at work in Helix Utility 6.2. Now all Helix products that use buffers have this capability. Modernized Registration: The process of registering a copy of Helix has been overhauled and modernized. Changing your license — adding extra seats to your license, for example — is now as simple as opening the registration window and entering your new key. Expanded Apple events: A number of ‘administrative’ Apple events have been added, including ones that find out license details, Apple event limits, current logged in user count, and more. Sparkling updates: The entire Helix product line now “Sparkles,” which means that the process of moving to a new version of any Helix product has been greatly simplified. Sparkle will, at your option, monitor our website for new releases, inform you when updates are available, and give you the option to seamlessly install the latest version. Give or take a node, a seat or a client, how much for all this? In our continuing effort to simplify Helix language, especially in the context of Helix pricing, we will now settle an issue with three terms that have historically been used almost interchangeably: node, seat and client. A node or a seat is essentially the same thing. The term node evolved from biology; a node is where a branch grows on a stem. The term seat was used to describe a person at a desk with a computer. The term client carries way too much baggage to be used as it has been for so long. After all, you could cram three clients onto a sofa (i.e., a seat) and have them all log into Helix with a single Client application on one laptop. One node? One seat? Three clients? And if all this was not already confusing enough, consider that Helix Server, Helix RADE and Helix Engine can all have these things (nodes, seats, clients). So how do we fix this? We fix it by calling it what it is. Helix is priced by what we refer to as “concurrent access,” (CA), or how many at the same time. If you had ten people in your office who needed to get into Helix but you never had more than, say, five at a time, you would license 5 CA. So, for the purpose of the following discussion of price, and from now on, we will express a Helix license as follows: Server/4 CA, RADE/2 CA, Engine/3 CA; the product followed by the number of licensed concurrent accesses. With that settled, it is finally safe to say that the emotional anguish we went through over how to properly reward those who helped us get here while not seeming to punish those who did not, whether because they would not or could not, has run its course. Those who participated in Europa have effectively paid for their upgrades and purchased their upgrades to Helix 6.3, more about which in a moment. Two or more CA in RADE allows you to run more than one copy of RADE on a network. More than one may also be run on a single machine, which facilitates clipping and applying structure between collections. Since they purchased Europa as a new product, i.e., not as an upgrade, Europa Pioneers will be able to download their new RADE/1 CA 6.2.1 today. If they need additional CA, they can purchase them in the web store or call. As of today, a new copy of Helix RADE/1 CA 6.2.1 costs $399, with additional CA priced at $199 each. Registered users of versions 6.0–6.1.11 can upgrade their RADE/1 CAs for $299, with additional CA upgrades at $149 each. Registered users of earlier versions will pay $349 for 1 CA and $179 for each additional CA. In moving to 6.2.1, we have continued to simplify product pricing, this time eliminating once and for all the unsolvable quandry of what separates a small workgroup from a large one in Client/Server pricing. As a result, there are now two Client/Server products: Helix Personal Server/1 CA, which sells for $149 and Helix Workgroup Server, which starts at $348 for 2 CA. Beyond 2 CA, each new or additional CA costs $219. When upgrading from Helix 6.1.x, each existing CA costs $99. That same upgrade from any older version is $199. And in case this has not been clearly stated anywhere recently, it is no longer a requirement to dedicate a Server machine. Whatever machine is serving Helix may also be used as a Helix Client, which clearly saves you money. And these days, fast and powerful Helix server machines are becoming less and less expensive. If your workgroup still contains PowerPC Macs, and you need to increase the number of seats in your license, the price of a 6.1.11 seat drops from $375 to $300 today. If your workgroup is ready to move forward without any PowerPCs, you can purchase your Helix 6.2.1 Client/Server upgrade in our store today. These prices, as well as new prices for Helix Engine 6.2.1 purchases and upgrades, appear on our current prices page as of today. That page also shows similarly adjusted pricing for Helix 6.1.11 products. If you already own Helix RADE 6.2, we urge you to go and download the latest upgrades which are yours at no additional cost. Numerous tweaks since its June release have not only made it more fun to work with, but much more solid as well. If you’ve been thinking about upgrading your RADE but still aren’t quite sure, you can now just download it and run it in Demo mode until you decide you’re ready. If you are coming to today’s releases from a version of Helix older than 6.0, you will first need to update a copy of your collection. Please see this page for information about doing this. As we mentioned above, our development efforts have turned to finishing the Sockets conversion that will become available to you in the 6.2.2 maintenance release. There will, of course, also be Helix RADE/Engine maintenance releases, and as always, users who purchase or upgrade to Helix 6.2 will get the subsequent 6.2.x updates for no additional cost. The hopefully brief detour through the Sockets conversion will, unfortunately, delay what we had been touting as the first step toward 6.3: the “Feature Game” that we have mentioned previously. All we can tell you for sure about that is that we have spent a great deal of time assembling and condensing the hundreds of feature requests into a tour de force of possible Helix futures. Though we already have a number of things on the board for 6.3, work in that direction will only proceed once we get your input. But first things first. Let’s close out 2013 with our networking ducks in a row and look for the “Feature Game” early next year.